SS Yongala sank on 23 March 1911 in a cyclone. She now lies in 28 metres of water off Cape Bowling Green and is considered to be one of the top 10 wreck dives in the world. 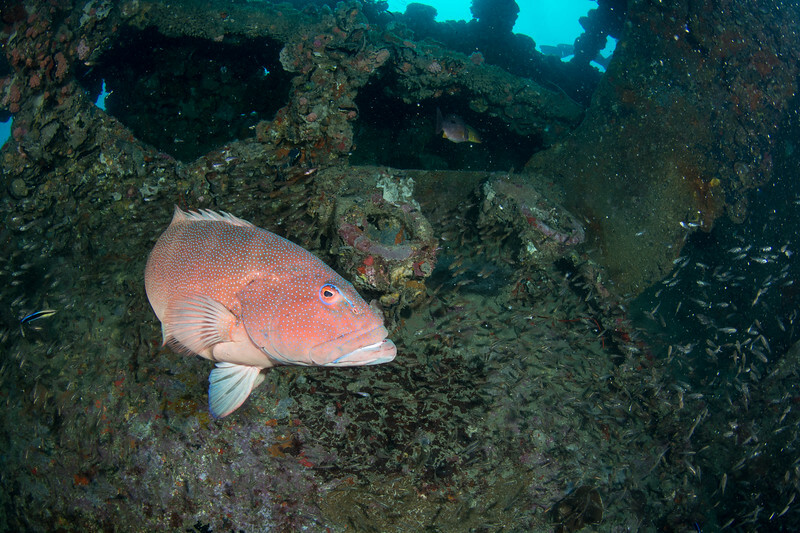 SS Yongala is one of our favourite dives due to the size and quantity of marine life that frequents the site. More information about SS Yongala is here http://en.wikipedia.org/wiki/SS_Yongala. If you want to dive SS Yongala we recommend Yongala Dive http://www.yongaladive.com.au/ and highly recommend the use of Nitrox. If you want to organize a private group live-aboard charter, we suggest Kalinda http://kalinda.com.au/scuba-charters/.